Now that we have learned a lot of things about Sparki, like moving it or using its distance, light and line sensors, gripper, buzzer and display, why not put all this together in one (a bit) more complex application? 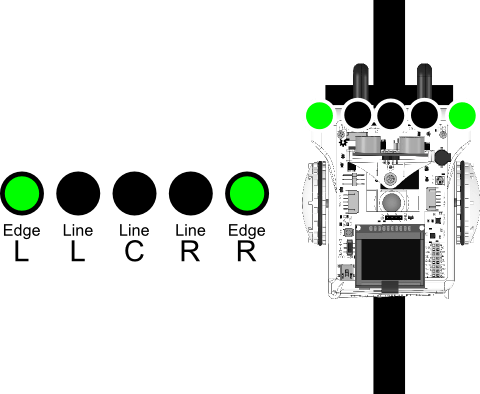 In this lesson we will learn how to find objects with Sparki’s ultrasonic ranger along a line following course, grasp them with the gripper and bring them to an area behind the starting point. Some of the concepts that we are going to use here were already explained in the Maze Solving lesson. It’s strongly recommended that you read it before going on with this lesson. Some lightweight objects, which may be cardboard boxes, cylinders, or even balls. We will show below in this lesson how to build a cylindrical object that fits well in Sparki’s gripper. The robot starts to follow the black line, searching for an object with its ultrasonic distance sensor (also called ultrasonic range finder). 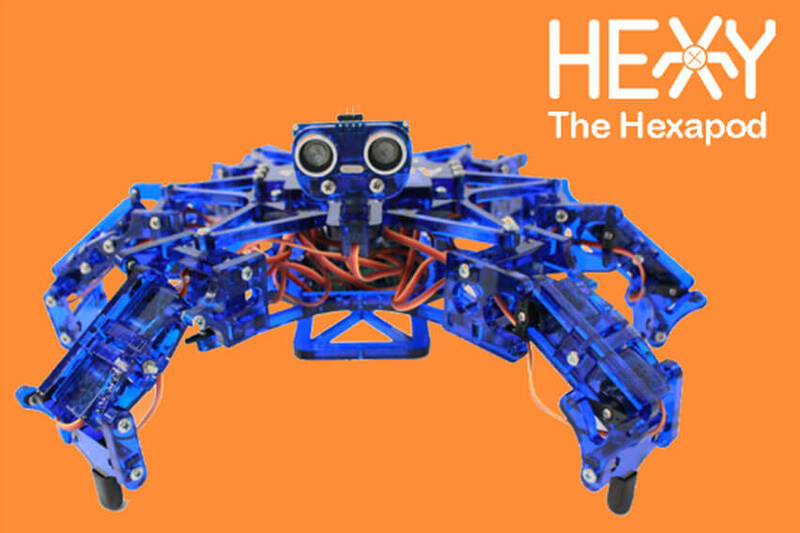 Once Sparki finds an object, the robot advances (moves forward) towards it until the object is inside its gripper’s reach. 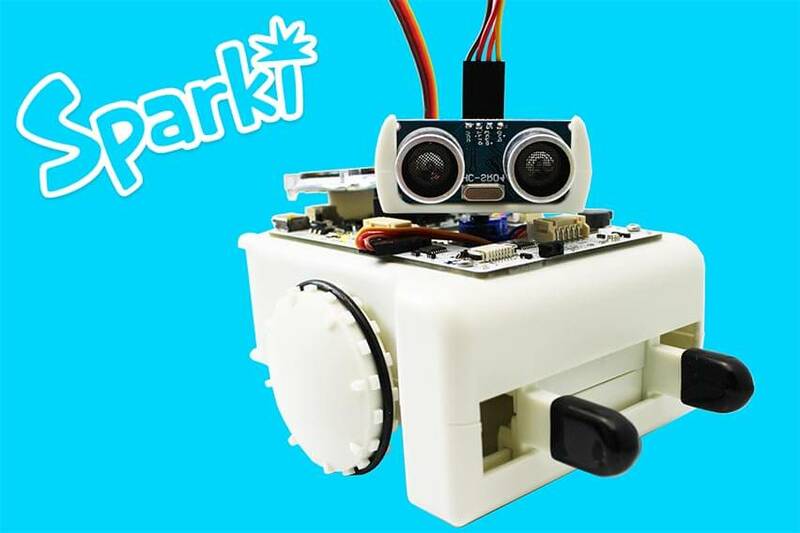 Sparki grasps the object with its gripper and then rotates itself until it finds the line again, so it can go back. The robot now follows the line again, but this time it’s moving towards the START mark, looking for it with its infrared sensors. 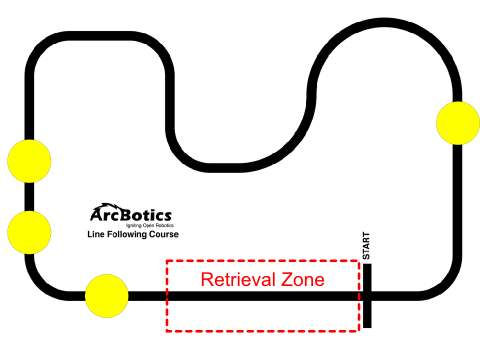 Once the robot finds the START mark, it goes to the place (a few centimeters behind the mark) that the object has to be released, and releases it. 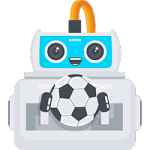 Sparki counts the retrieved objects, so when all the objects are retrieved, the program stops. 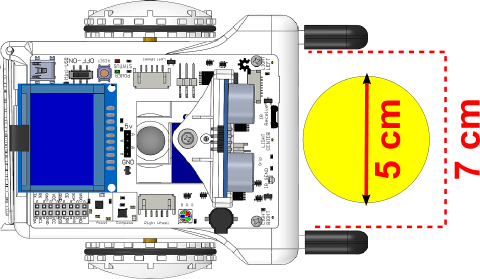 Before starting to program the robot, let’s take a look to the objects to be retrieved. Of course, you can use any object that fits into Sparki’s gripper, but if you don’t figure out which kind of objects to use, we will show here how to create some cheap and easy to make cylinders that will be ideal for this and other future advanced robotic lessons: 1. 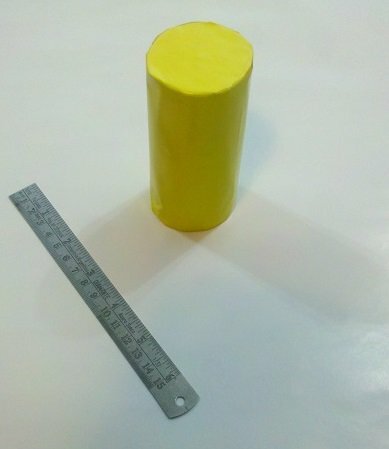 Dimensions: We want our objects to fit inside’s Sparki’s gripper, which has a maximum span of about 7 centimeters (cm). Our choice was to use cylinders with a diameter of about 5 cm, which resulted on a relatively easy to grip object, as you can see in the video above. Regarding the height, ideally our cylinders should be between 10 and 12 cm, to allow the Sparki’s ultrasonic ranger to detect them: 2. Flexibility: It’s convenient that the objects are a bit flexible, in order to be grasped with Sparkis gripper easily. Materials such as cardboard could be ideal for our purposes. 3. Weight: We don’t want the objects to be heavy weighted, since our little robot needs to deal with them. 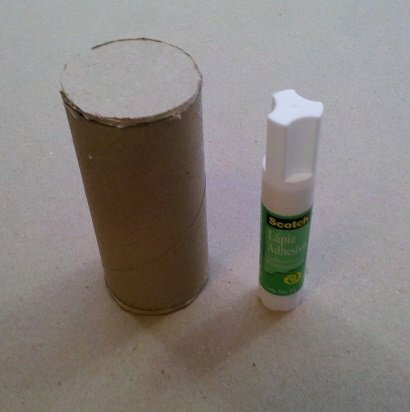 So, to make our objects we can grab some cardboard tubes, often easy to recycle from cleaning paper rolls (just to give an idea of a possible source for them): 4. 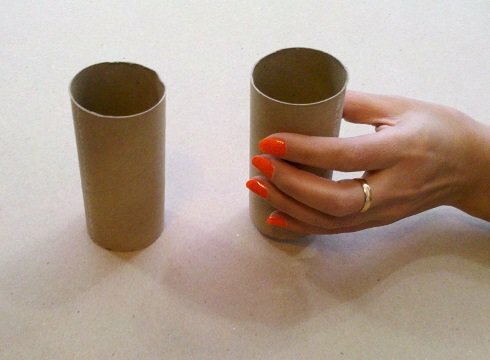 Appearance: Of course we can use the crude cardboard cylinders for our activities. But this has two drawbacks. First, without caps, they will probably last less since they will be structurally weaker. Second, they are ugly! So let’s create the caps, also with cardboard. 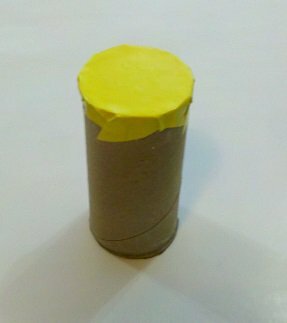 Then you can glue them with a glue stick, for example: Finally, we may want to cover the cylinders with colored paper, starting with the caps: Here we are: Now that we have the objects (we will use 2 of them here, but you can make some more if you want), let’s program Sparki to go for them! while(true); //work done => program ends here! undefined: this is the initial state, when the robot has not yet even started to follow a line. gripping object: the robot has stopped to move, and is trying to grasp the detected object with its gripper. releasing object: the robot is releasing the object (this should happen only when it’s in the retrieval zone). approaching: an object was detected near enough, so the robot is now carefully approaching to it (while still following the line, of course) in order to grasp the object as soon as it reaches the gripper’s range. 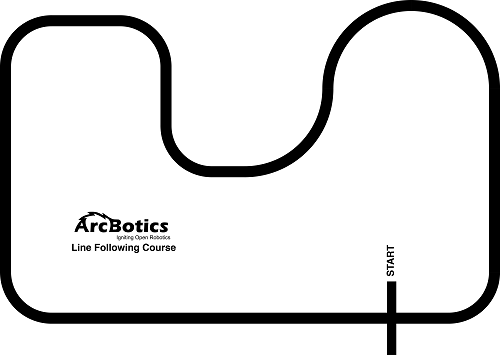 follow line: as its name says, the robot is following the line course. 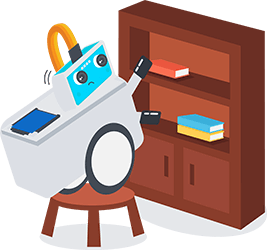 turn back: the robot rotates to turn back, since it has grasped an object and wants to retrieve it to the retrieving zone. finished: the robot has retrieved all the objects to the retrieving zone. The program has stopped at this point until the next reset or on/off cycle of the robot. const int turnSpeed = 0; //used to turn the robot over an external center of rotation. sparki.beep(); // the line has been found! retrieved to the course's START mark. Congratulations! Your Sparki can now retrieve objects left over the way! 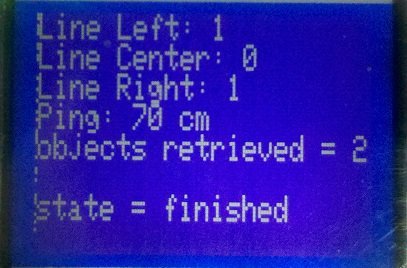 There is an interesting function available in SparkiDuino software which allows us to know the exact time (in milliseconds) since the current program has started to run in the robot’s brain. Its name is millis. Using it, (and with the help of a variable), you can measure the time between the beginning and the end of the program. And as with any internal value, you can show that time in the LCD display. Why not try to distribute the objects in different parts of the course, measuring the time that takes to Sparki to retrieve the objects deployed with these different distributions? Also, you can modify the maxObjects constant in your program to make Sparki try to retrieve more objects. There is another improvement that can be done to the current program on this lesson. 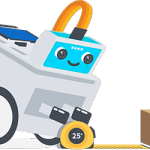 If you look carefully to the robot’s behavior, you will note that when it’s looking for the right place to release an object behind the START mark, the robot is not really following the line, but just moving forward. The program works fine anyway, since if the robot is a bit deviated from the line at this point, that doesn’t matter because it will move just for a short distance. But why not modify the program in a way that Sparki can follow the line even when it’s looking for the object retrieval place? 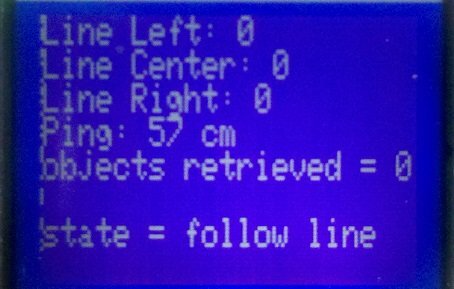 Tip: you can change the bool parameter that the followLine function receives by an integer number, which will content a value indicating if the robot is just following a line (0), approaching an object (1), or finding the retrieval place (2).